Hundreds of Christian leaders signed a letter sent Wednesday to Speaker of the House Paul Ryan, House Minority Leader Nancy Pelosi and other congressional leaders voicing support for a bill that would expand rehabilitation programs for prisoners suffering from drug or sexual addiction, grant job training and anger management classes to inmates, and expand risk assessment programs to match prisoners with programs that could help them. The Prison Reform and Redemption Act of 2017, also known as H.R. 3356, gives eligible prisoners time credits and eligibility to complete their sentences under community supervision if they complete those programs. The bill’s proponents believe it will reduce the rate of ex-cons who go back to prison, which sits at about 66 percent in the U.S.
“Our work throughout the nation’s prison system affirms the need for our federal government to take practical actions in order to reduce recidivism and give our prisoners a better chance of rebuilding their lives, their families, and contributing to society,” the letter reads. 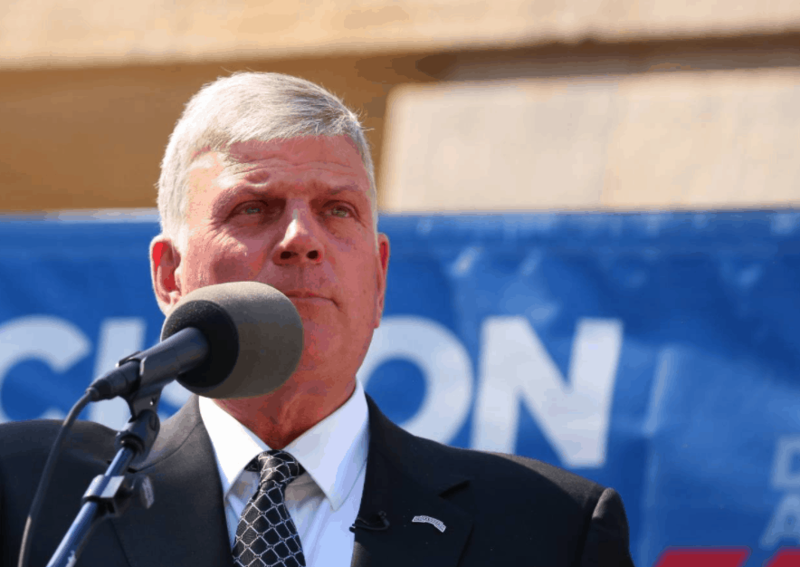 The letter was signed by prominent evangelical figures such as Franklin Graham, the president of the Billy Graham Evangelistic Association, and Paula White, President Donald Trump’s spiritual adviser and a Florida pastor. Other signatories include Liberty University President Jerry Falwell Jr., Family Research Council President Tony Perkins, Faith & Freedom Coalition President Ralph Reed and Maryland pastor Bishop Harry Jackson.